An FIU student is one of only 70 graduate students chosen to participate in an exclusive U.S. Department of Energy research program. 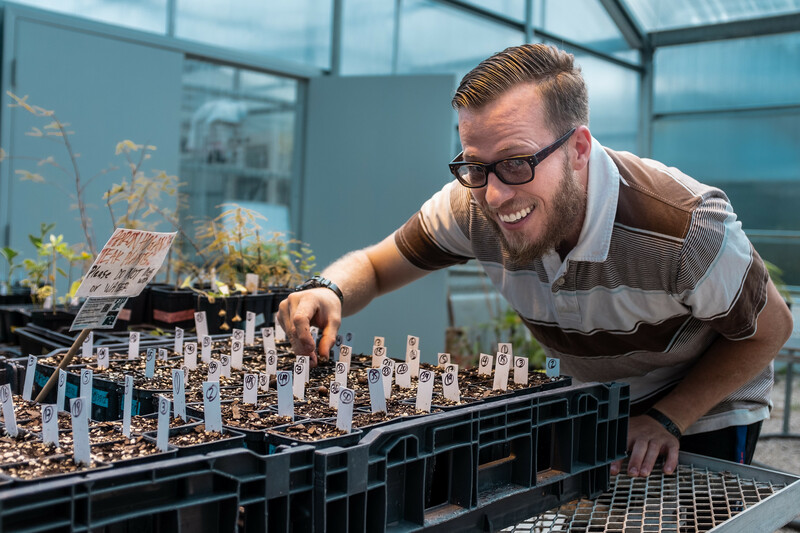 Aaron Hogan, a Ph.D. student researching the ecology of tropical plants at FIU’s International Center for Tropical Botany, will participate in the Energy Department’s Office of Science Graduate Student Research program. The program provides Hogan with supplemental funding to conduct part of his thesis research at the Oak Ridge National Laboratory in Tennessee in collaboration with one of the lab’s scientists. Hogan’s plant research has appeared in numerous academic journals. A recent study warned of the need for loggers to curb their appetite for slow-growing trees in the Amazon rainforest. According to his study, more than 4.2 million square feet of tropical timber was harvested in the Amazon in 2015, up from the 2.7 million square feet harvested in 2007. If the harvesting of Amazonian timber is not controlled, deforestation might occur.